Growing up, my parents and grandparents used to stash candy all over the house so I couldn’t find it. These were their stockpiles and they didn’t want to share. Or, I’m assuming set a bad example. I’m pretty convinced this behavior only made me want it that much more! As an adult, I’ve battled with my fascination with the sweeter things in life too. I kept it mostly in check until I got pregnant. With each pregnancy, my willpower went out the window and I took it as my opportunity to indulge. Donuts, pies, cupcakes, candy I wanted all the sweets. It’s a wonder I only gained the recommended 30-35 pounds each time. Obviously once the pregnancies ended I had to return to real life and modify my eating habits again. As a parent we want to encourage healthy eating habits for our children by teaching them it’s all about balance and moderation. I still like the flavor of sweets, but I try to find ways to satisfy my sweet tooth without going overboard. My kids don’t get dessert every night but when they do, but when they do I make sure there’s enough where our family gets a portion and there’s plenty leftover to share with friends like these Chocolate Covered Cranberry Bars. Lightly spray a 9x13 baking dish with cooking spray and set aside. In large bowl, combine cake mix, 2 eggs, and melted butter. Using electric mixer, mix together until smooth. Spread into the bottom of prepared baking dish using spatula until even. In separate bowl, cream together powdered sugar, cream cheese, and remaining eggs until smooth using spatula to scrape sides as you mix. 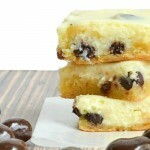 Fold in DOVE® Fruit Cranberries until evenly mixed and then pour cream cheese mix over cake batter in baking dish. Baked in preheated oven for 35-45 minutes until sides have browned. Allow to cook completely on baking rack then transfer to fridge to chill until cooled, at least 4 hours. What’s your favorite way to incorporate candy in your baking? Those bars look fantastic! I love how simple they are – but I bet they taste divine! I can’t wait to mix up a batch and share with my bible study girls! Not fair! 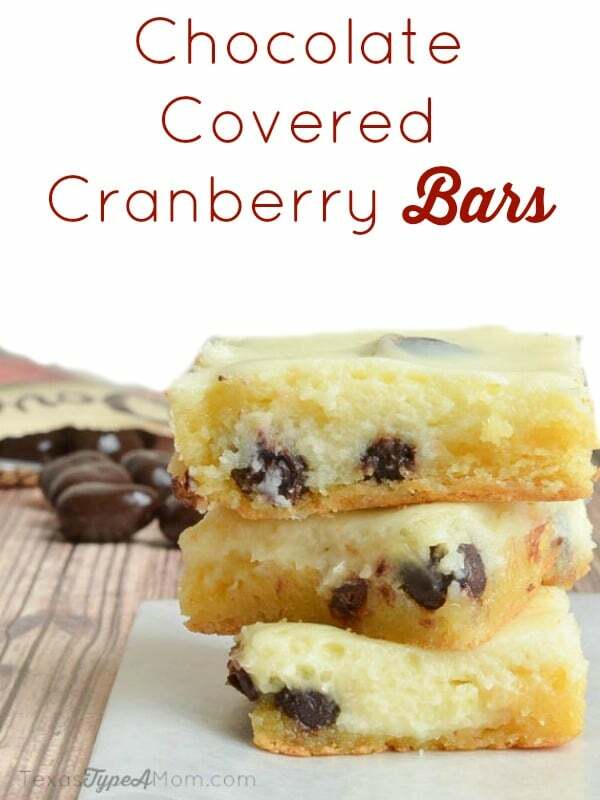 It’s afternoon snack time and all I want right now are chocolate covered cranberries and chocolate covered cranberry bars. I love dove- this recipe looks yummy also! I thought those Dove fruits looked delicious. I even considered how good they would be to bake with. These sound great!!! Those look delicious! 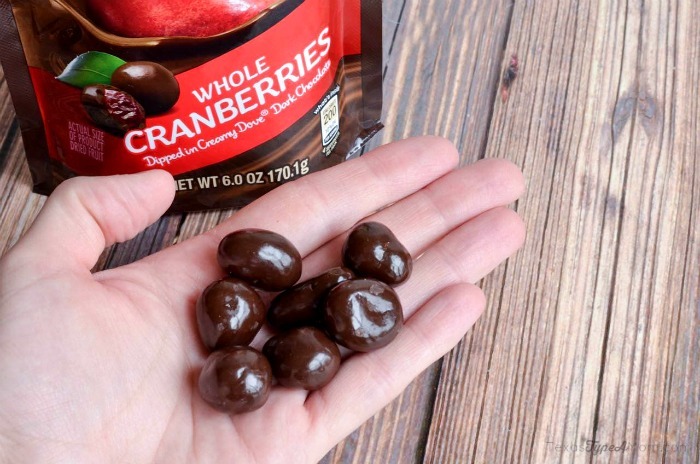 We have been enjoying the Dove Fruit cranberries as well! They are my husband’s favorites out of all the Dove Fruit flavors. I saw these go by in my Pinterest feed! Totally pinned them to make over the weekend! They look really good! These look yummy, I don’t usually like cranberries, but I do like them inside stuff. This sounds like a great way to eat them! These look really good. I love chocolate covered anything! I am sure that cranberries covered in chocolate are fabulous. Oh I like this. Look cute, easy and tasty. My son loves chocolate covered cranberries. I’m sure he would really like these bars, too. We all would. I’ll have to make some soon! Those Dove candies are great on their own, but baking with them? Brilliant! I want to try them in a cookie, too. Those look so tasty. I will have to make some for me and my kids. 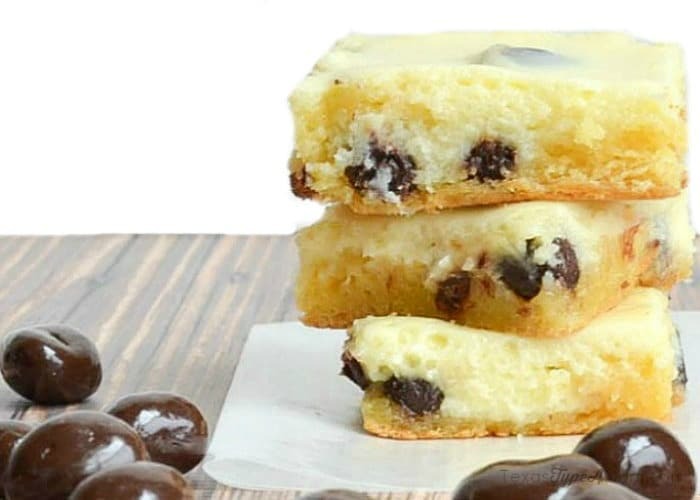 These look really yummy, going to have to try them soon! oooh! I did not know they had chocolate covered cranberries! I love raisins so I bet these are super tasty. Love that you made some beautiful bars out of them too! These look SO delicious. Those Dove Fruits candies are so versatile!